Hey, I’ve been filming with 3 Takes Productions and the fruits of our labours are now being aired on Mustard TV. The Forgotten Few was shown quite recently. It’s an award winning story but based around post traumatic stress disorder. Stragglers, where I play a rather sorry for himself, Jeffery, is a comedic journey through four middleaged men’s lives. Was recently on Monday nights at 10:30pm. 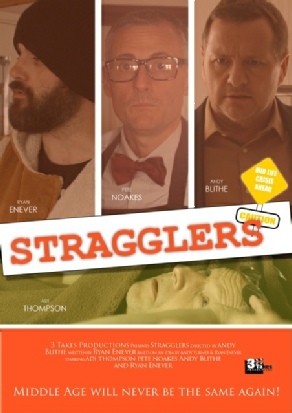 Head off over to 3TakesProductions where you can see the complete first series of Stragglers now. As an added bonus you’ll get to see a few extra shorts that have yours truely doing the acting thing in.